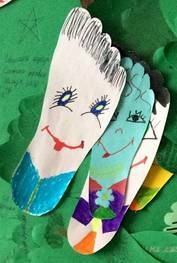 "ZOOM - Kids on the Move"
For the first time some schools in Belarus joined the ZOOM Campaign – welcome aboard! 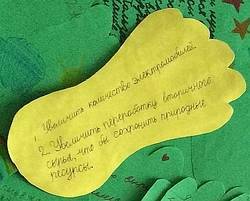 The 257 pupils from 3 schools in Polotsk and Novopolotsk gathered 3917 зеленых следа or Green Footprints. 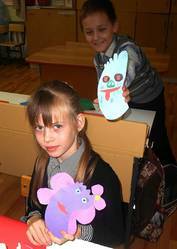 Two schools of Novopolotsk took part in this year’s “Kids on the Move” campaign. 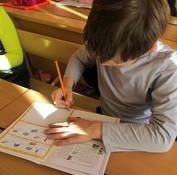 The fourth and fifth graders of School № 12 participated from 22 September until 3 October. 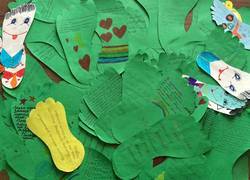 The 125 children there collected 975 green footprints and sent us an impressive report on their activities. 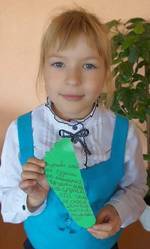 The pupils from Borovukha School №15 also participated during the same time period. 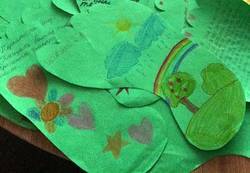 Here, 40 children collected 998 green footprints and submitted a report on their activities. 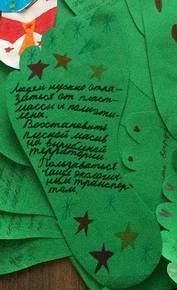 During the 14 days of action, the children did practical modules like schoolyard projects and wrote reports about their journeys to school. Some of them made experiments about the greenhouse effect and others interviewed their parents and grandparents about how they got to school in years past. One class even organized a walking excursion to the city of Polotsk. 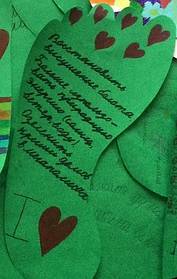 In Polotsk, School №6 participated with second, third and fourth graders in this year’s “Kids on the Move” campaign. 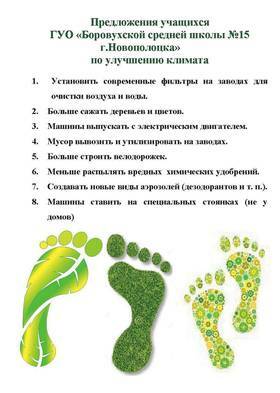 From 1 October until 24 October, the 92 children collected 1,944 green footprints. During their 24 days of action, the children worked on practical modules, did schoolyard projects and also wrote reports on their daily journeys to school. Others interviewed their parents and grandparents about how they got to school in years past. We already use environmentally-friendly means of transportation, such as trams, trollies and buses. We need more public transportation routes and we need to have more electric cars. 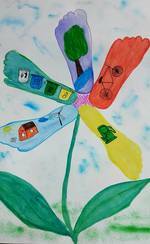 How can we make a city greener? We need to plant more trees in each city district and create parks with playgrounds. We should make hedges full of green plants that would block dust and noise. Factories should be banned from dumping waste into rivers and made to build modern treatment plants, so that they can recycle the water they use. We need to use less poisonous pesticides in agriculture, and regulate hunting and fishing. We should revive swamps that have been dried out. It is important to more actively harness the nature energy from sun, wind and water. We can also make green rooftops in metropolises. We need to be smart with the materials we choose. For example, we can stop using plastic bags and disposable goods. We need more playgrounds and fewer cars. We should decrease the number of plants and factories because people tend to fall ill when the air is contaminated. Let’s change people’s attitudes towards nature and towards one another so there are no more wars on the planet. LAST UPDATE: 10. April 2019 - COPYRIGHT © 2009,2010 BY KLIMA-BÜNDNIS - CLIMATE ALLIANCE - ALIANZA DEL CLIMA E.V.